Marco Oppedisano is an American guitarist, recording artist and composer whose compositions focus on the innovative use of electric guitar in the genre of electroacoustic music. His compositions have utilized multitrack recording and extended performance techniques for electric guitar and bass. In addition to musique concrète, recent compositions by Oppedisano also consist of "live" electric guitar in combination with a fixed playback of various electronic, acoustic (specifically female voice courtesy of his wife, Kimberly Fiedelman) and sampled sounds. Since 2003, Oppedisano has held various concerts featuring his electroacoustic works for electric guitar and works for live electric guitar and CD playback. Oppedisano has three solo album releases on the OKS Recordings of North America label (OKSRNA): Mechanical Uprising (2010), The Ominous Corner (2008), and Electroacoustic Compositions for Electric Guitar (2007). Also in 2008 on OKSRNA, Oppedisano collaborated on an album with David Lee Myers (aka. Arcane Device) called Tesla at Coney Island. In 2013, Oppedisano contributed a composition for the $100 Guitar Project (Various Artists: Bridge Records, Inc.) and in 2012, a composition for the guitar compilation, Axe (Various Artists: Spectropol Records). In 2012, his music was featured in a short film by Don Cato called “Dead Man Rides Subway” and was premiered at the Queens World Film Festival. Oppedisano’s music have been reviewed by a variety of publications and he has done online interviews for online music sites such asGuitar-Muse, Tokafi and Contemporary Guitars Blog. He was also profiled in a book of distinguished guitarists: State of the Axe: Guitar Masters in Photographs and Words by renowned photographer,Ralph Gibson. (Museum of Fine Arts, Houston, October 2008). Television appearances by Oppedisano include the Discovery Channel and CUNY TV. He has had compositions programmed on WNYC "New Sounds," WFMU, BBC Radio 6, CBC Radio 2 and various other internet radio stations. Oppedisano has also performed live on WOR710 in New York City, Vin Scelsa's long running radio program, "Idiot's Delight" and done radio interviews for Kalvos and Damian’s New Music Bazaar. 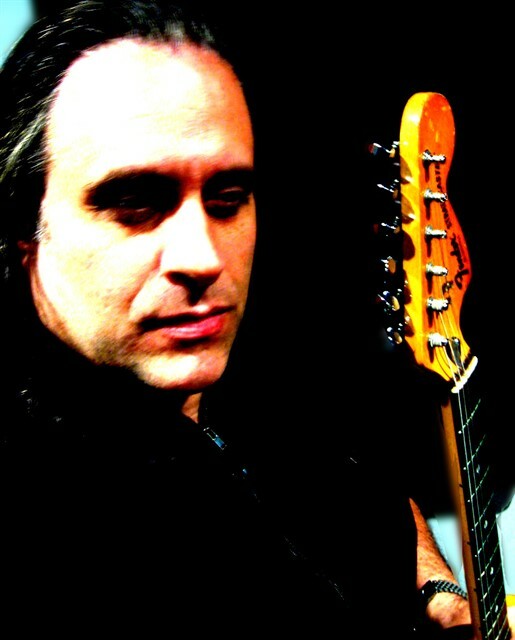 In addition to his electroacoustic music, Oppedisano has had works performed by the Fireworks Ensemble, Glass Farm Ensemble, Morris Lang and The Brooklyn College Percussion Ensemble, The Zyryab Guitar Quartet of Portugal, and distinguished guitarists; Oren Faderand Kevin R. Gallagher. Oppedisano has also recorded for Capstone Records (Vox Novus 60x60 project, 2003) and performed the music of Glenn Branca. Oppedisano is also featured with Thomas Buckner on an electroacoustic composition titled, “Hoodlum Priest” by Noah Creshevsky (Hyperrealism, Mutable Music, 2003). Oppedisano also served as editor and producer for First Flight, a solo classical guitar disc by the prolific New York City based guitarist, Oren Fader. Oppedisano is a native of Brooklyn, New York and currently resides in Queens, New York. He holds a BA in Music Composition from the Brooklyn College Conservatory of Music and an MA in Music Composition from the Queens College Aaron Copland School of Music. Oppedisano’s music is all published through his company, Out Your Ear (ASCAP). Это персональный сайт пользователя Marco Oppedisano. MusicaNeo не контролирует его содержание. о всех возможных нарушениях.